Description: This is a brief guide of how to convert multi-track MXF to multi-track AVI files with the help of Pinnacle Studio 16 and Pavtube MXF MultiMixer. Most cameras and camcorders now record videos with multiple audio tracks. Canon XF series, for example, are the most typical and widely used models which include two audio tracks, one is recorded by microphone and the other recorded by headset. Of course, more audio tracks with professional devices. Do you happen to have these MXF videos with multiple audio tracks and don’t know how to display all of them? Wondering losing audio streams/tracks when converting to other formats like AVI? Want to edit multi-track videos in Pinnacle Studio or simply playback AVI videos with multiple audio tracks? Here is a solution for both Windows and Mac users. Not the simplest, but could be a life-saver. It’s annoying that many cameras are not accepted by NLEs directly; although there are many video converting tools claim that they can transcode MXF files with best quality, most of them still cannot perfectly preserve all the audio tracks as original. However, Pavtube MXF Multi-Mixer is absolutely an amazing multi-track video converter: it just does what it should to do as its name. It takes quite a few whiles to find this tool, but luckily I finally got it. 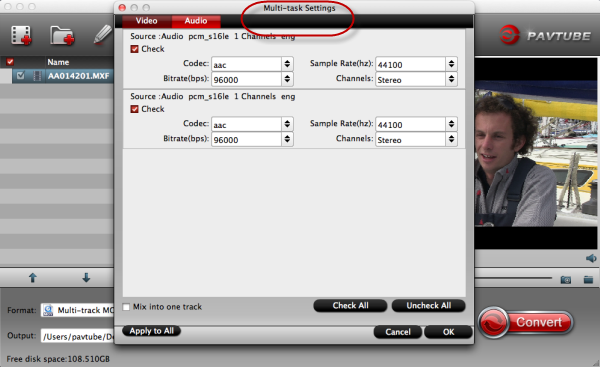 Mac users can find Pavtube iMixMXF here. We tested with a Canon XF100 video with two audio tracks. Pinnacle Studio does not recognize MXF files; so we need to convert this MXF to another format that Pinnacle appreciates. Drag and drop Canon XF100 MXF to this MXF MultiMixer. By clicking the “Properties”, we can also confirm the two audio tracks. Then choose format. 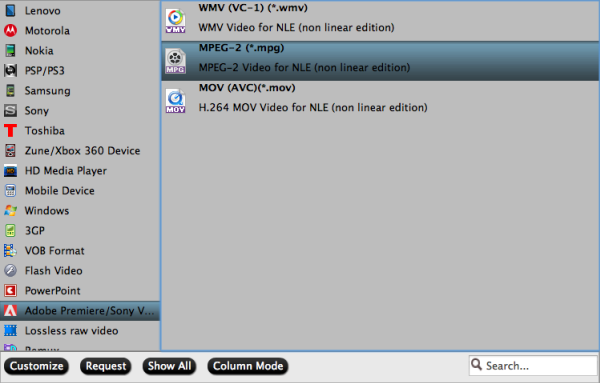 Find a column named “Multi-track Video”, it only has 3 presets: multi-track MKV, multi-track MP4 and multi-track MOV. Choose MKV and hit “Convert”. Now we get a MKV file with two audio tracks. Import this MKV file to Pinnacle Studio 16; drag it to timeline. Right click and choose “Detach Audio” to separate video and audio. Now we get video and audio in two tracks. Click the icon on the left to lock audio track; select video track, hold on Ctrl and hit Delete to trash the video track. Now we get pure audio files as below. Double click audio track to open audio editing interface. Choose “Audio stream 1”, then back to main interface. Export it as “Audio” file separately. Then back to audio editing interface, switch to Audio stream 2 and export it accordingly. Part 3. Combine video and audio; Export. First, we need to separate video track as well. Drag the original MKV file to timeline; lock video track and delete audio track; unlock video. Then we import the two audio tracks to Pinnacle library; drag them to timeline together with the single video file. TADA! Just export them; we finally get a AVI file with two audio tracks! Free edit the multi-track AVI files in Pinnacle Studio or just playback it for enjoying. How to edit MVI files in Pinnacle Studio? How to transfer Blu-ray/DVD to Pinnacle Studio for editing? Can I edit AVCHD/MTS in Pinnacle Studio? Summary: This article will show the best way to get Sony Vegas to work with Panasonic AG-AC160/AG-AC130 mts footage by converting mts to MPEG-2/WMV for Sony Vegas Pro 12 editing. Panasonic AG-AC160 and AG-AC130 Memory Card Camera Recorders offer a host of advanced functions. Both are new AVCCAM Model with better zooming, greater sensivity, and higher image quality. Full-HD - Slow / Quick-Motion Recording Supported. Panasonic AG-AC130/AG-AC160 can offer high-quality HD recording utilizing MPEG-4 AVC/H.264 high-profile encoding. The AVCCAM camcorders' Full HD resolution imager produces stunning 1920 x 1080 or 1280 x 720 AVCHD video at high sensitivity. And you will find the mts video from Panasonic AG-AC160/AG-AC130 will not import correctly into Sony Vegas Pro 12. Have you been having problems with this as well? As we know, AVCHD format video is not easy to use, many video editors which don't support MTS, especially the 60p mts video files. An efficient workflow is to convert Panasonic AG-AC160/AG-AC130 to Sony Vegas native editing format like WMV/MPEG-2. This article will share the way to convert Panasonic AG-AC160/AG-AC130 MTS to Sony Vegas Pro 12. First, I found an app called Pavtube HD Video Converter , tired it and succeeded. This software will help you to get Panasonic AG-AC160/AG-AC130 mts files working well in Sony Vegas Pro 12. 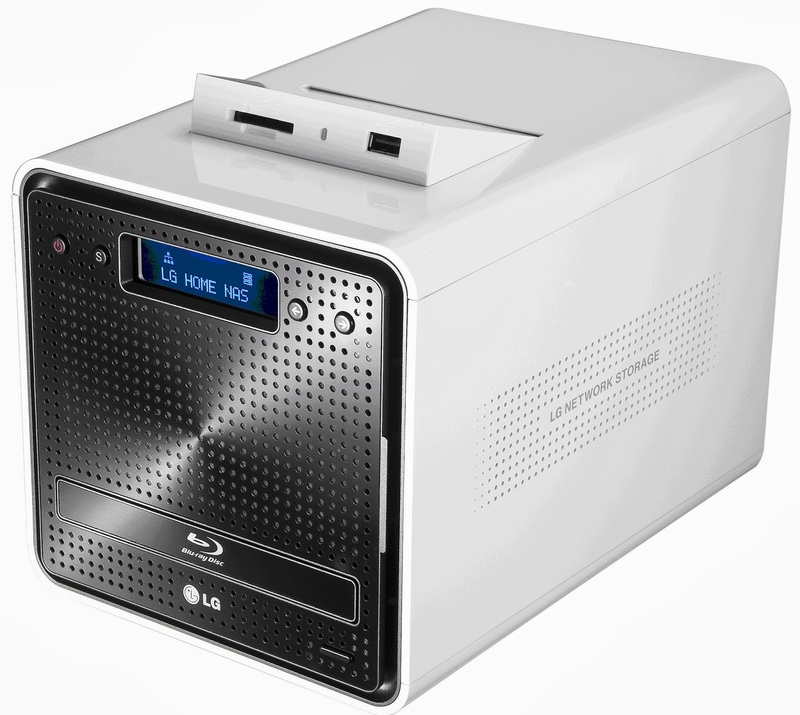 It is capable of converting a variety of hd video, blu-ray, and dvd movies to another format. And meanwhile it supports to convert to many mobile devices and editing software, like After Effects, Avid Media Composer, Adobe Premiere Pro, and more. CUDA acceleration will give you faster conversion speed. Below is a guide for you. Surprising news! 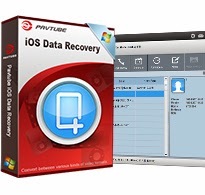 Get it now you will have 20% discount for Pavtube Video Converter Ultimate and iMedia Converter for Mac. 1. Free download and install this mts to Sony Vegas Converter, just copy the AG-AC160/AG-AC130 mts files right to your hard drive, import the files to the program. 2.Click format bar to choose the output format. Click and choose Adobe Premiere/Sony Vegas --> MPEG-2 (*.mpg) or WMV (VC-1) (*.wmv). This format is best for Sony Vegas Pro 12 editing. 4.Click convert button to start converting Panasonic AG-AC160/AG-AC130 mts to Sony Vegas Pro 12. This 20% off Ultimate Video Converter from Pavtube can convert Panasonic AG-AC160/AG-AC130 mts files to Sony Vegas Pro 12 with best quality and fast speed. Once the conversion completes, you can click "Open" button to get the output files effortlessly. Now you have got it right, just to import and edit Panasonic AG-AC160/AG-AC130 mts files within Sony Vegas Pro 12 at ease. Description: The below article will provide a easy way for you to convert your DVD and Blu-ray discs to digital format for storing on your NAS and playing on HTPC. Q: If you have lots of DVD and Blu-ray discs in hand, what will you do? A: I am a CEO of a Not For Profit organization that likes computer gaming and watching movies. I am looking to rip my DVD and Blu-ray Disc to digital format to store on my home NSA and play them on my HTPC. NAS, with Network Attached Storage in full, is the extender for home sharing. NAS not only operates as a file server, but is specialized for this task either by its hardware, software, or configuration of those elements. NAS is often manufactured as a computer appliance – a specialized computer built from the ground up for storing and serving files – rather than simply a general purpose computer being used for the role. 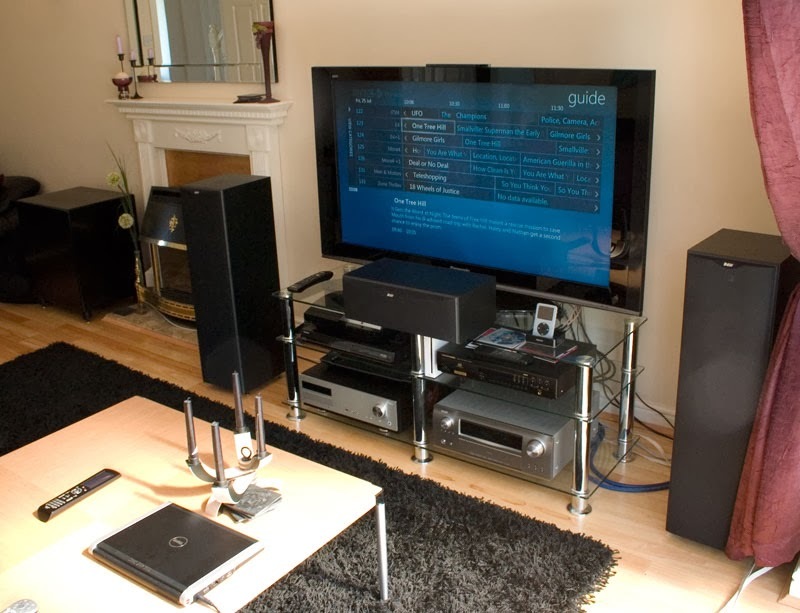 A home theater PC (HTPC) or media center computer is a convergence device that combines some or all the capabilities of the personal computer with a software application that supports video, photo, audio playback, and sometimes video recording functionality. With HTPC, you could avoid suffering the load and crowed cinema while having the same enjoyment of the fantastic visual effect. It’s an all-in-one app right for you. 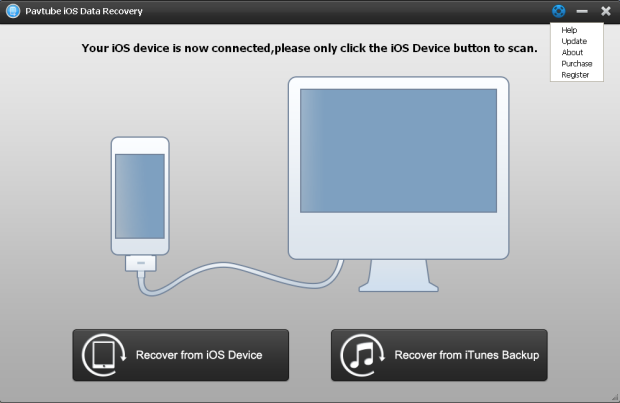 If you are a Mac user, you can use its equivalent Mac version: iMedia Converter for Mac to achieve your goal smoothly. Overall, it support to convert Blu-ray and DVD movies and all kinds of video to the support format like MP4, MKV, etc for you to either store on your home NAS or play on HTPC. Below is the main interface after you loading your videos to the programe. Step 1 Load the DVD/Blu-ray movies (Disc, folder, ISO) you want to convert to the program. 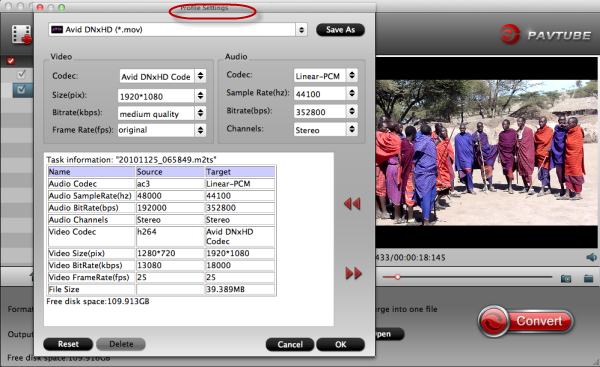 Step 2 Click the “Format” option, and choose Common Video > H.264 Video(*.mp4) as output format. Step 3 Click the convert button under the preview window, and the video converter will start the conversion from Blu-ray/DVD movies to MP4 for storing on NAS and playing on HTPC. After conversion, you can stream the output videos to NAS or HTPC according to your own needs. 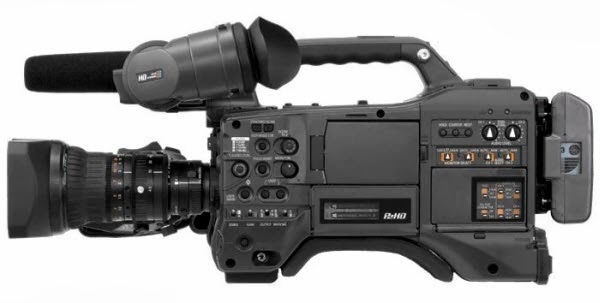 Why MXF files from Panasonic AJ-HPX2000 not reading in Premiere Pro CS6? Summary: Don't know how to import Panasonic AJ-HPX2000 P2 MXF to Adobe Premiere Pro CS6 for further editing? Follow this guide, you will learn how to accomplish it within a few clicks. Panasonic AJ-HPX2000 is a multi-format HD production camera that records onto P2 cards. Using the same sensor as the popular VariCam and HDX900 cameras, the HPX2000 can shoot native 720p or switch to shoot 1080i with 24p, 25p & 30p capture. Standard definition NTSC or PAL recording is also available. While, most of the users have found that the MXF format is not well-suited for some non-linear video edit software including Adobe Premiere Pro CS6. So here comes up the original question: how can we convert Panasonic AJ-HPX2000 P2 MXF recordings to Adobe Premiere Pro CS6 compatible format on Mavericks? After lots of searching and testing among the top converting programs, this Pavtube MXF Converter for Mac is recommended for that it's capable to convert Panasonic AJ-HPX2000 P2 MXF to Premiere Pro CS6 on Mavericks efficiently and stably. Click here to download the free trial version, get it installed and let's start! Step 1. 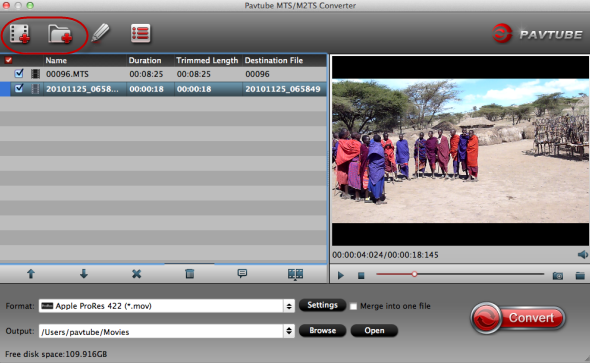 Add MXF files to Pavtube Mac P2 MXF Converter. 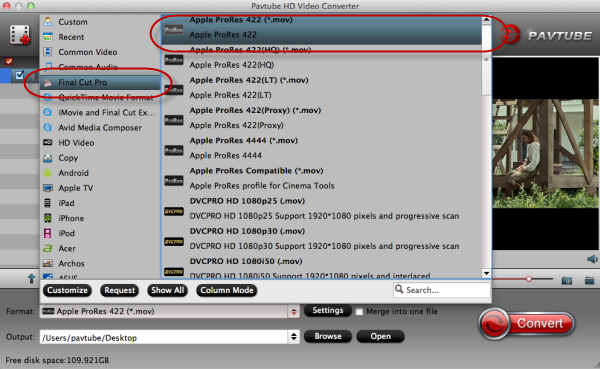 Install and run Pavtube P2 MXF Converter for Mac. Step 2. Choose compatible format for Adobe Premiere Pro CS6. Click "Format" and find Adobe Premiere Pro/Sony Vegas at left, choose "MPEG-2 (*.mov)" or "MOV(AVC)(*mov)" etc. as it's the preferred codec for Premiere Pro CS6. Or you can choose "Final Cut Pro > Apple ProRes 422 (*.mov)". If your MXF files have 2 audio tracks or more, here is a new program specially designed for multi-track preserving and mixing features, named iMixMXF. Featured formats include: MOV/MP4/MPG/WMV/FLV/MKV and more. An easy and step-by-step workflow to convert Panasonic AG-HPX500 P2 MXF to Apple ProRes with multiple audio tracks for FCP X editing. 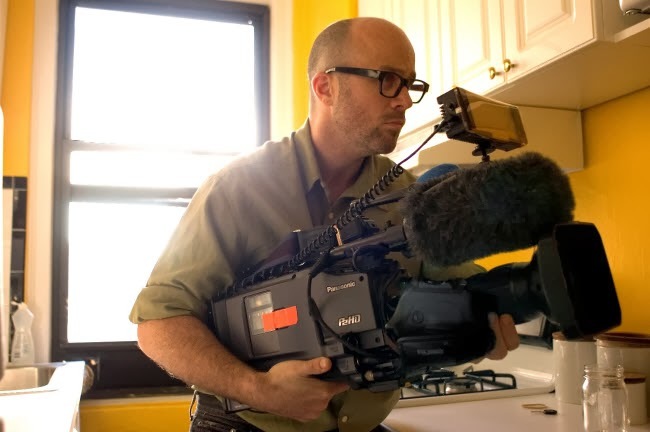 "The camera that we are using is a Panasonic HPX500. We are shooting at 1080p 60i. But the videos are wrapped in MXF which I am not familiar with. I'm wondering whether I can edit these P2 MXF videos in FCP X? How to keep the multiple audio channels preserving? Thanks in advance!" Panasonic AG-HPX500 is an HD P2 camcorder with high resolution. Many photography fans choose it for its outstanding video recording ability with 4:2:2 10-bit sampling, records in DVCPRO50, DVCPRO and DV, and other HD, SD formats at 1080 in 60i, 50i, 30p, 25p and 24p; as well as four independent audio channels. The Panasonic AG-HPX500 recorded videos are really excellent among the high-end cameras; and you may want to edit them in some editing programs on mac, such as Adobe Premiere Pro, iMovie/FCE, FCP, After Effects and so on. But all of them are nonlinear editing programs which mean the MXF encoded files are not supported directly. In addition, you may got the MXF footage taken by AG-HPX500 camera with several video streams or audio tracks and may want to edit them in FCP X always want to keep the multiple audio/video track separately as original. So here comes up the question: how can we convert Panasonic AG-HPX500 P2 MXF recordings to FCP X compatible format with multi-tracks? After lots of searching and testing among the top converting programs,multi-audio track MXF Converter for Mac- Pavtube iMixMXF comes up and help you to convert MXF to Prores 422 preserving all or any audio tracks for output Prores .MOV and mix the multiple audio tracks into one if you need. Now download it and follow these steps as below. 2. Click "Format" and choose Multi-track Video>Multi-track Apple ProRes 422(*.mov) as the most compatible codec for FCP X editing. Wait for a while to get this Panasonic AG-HPX500 multiple audio track into ProRes MOV for FCP X editing on Mac OS X 10.9 Mavericks. Summary: Wonder if Aperture 3 has add support for Nikon D610 mov files? 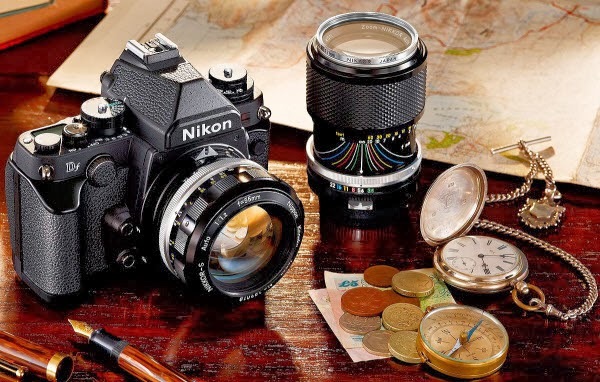 In this article, you will get the way to smoothly import Nikon D610 footages to Apple Aperture 3 with no need to worry the incompatible issue. 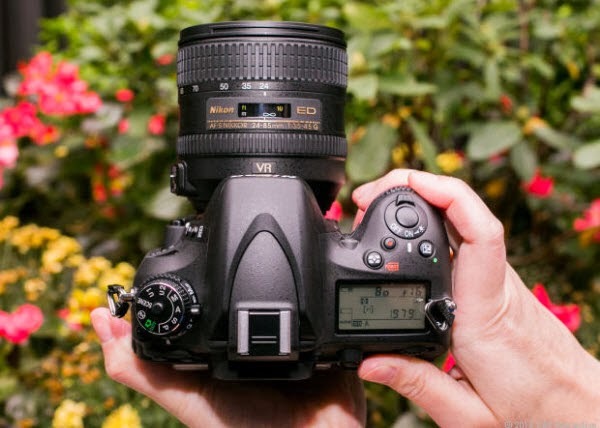 Nikon D610 Packed with features that rival cameras costing nearly twice as much, the Nikon D610 is the least expensive full-frame 35mm sensor DSLR that Nikon makes and is a great way to enter full frame photography. Shoot 1080p HD videos with selectable frame rates of 30p, 25p or 24p and MPEG-4 AVC/H.264 compression in highly compressed MOV format. Cant open D610 RAW files in Apple Aperture 3. Does anyone know if Apple Aperture will be supporting the D610 movie format? Appreciate any help! After testing, we find that Apple Aperture 3 can't support Nikon D610 MOV video footages well due to codec reason. To get Nikon D610 footages readable by Apple Aperture 3, it's a good choice to convert Nikon D610 MOV to Aperture best supported video formats, such as Apple ProRes codec MOV, and then you can edit the Nikon D610 video in Apple Aperture 3 smoothly. Now, you can follow the easy steps below. Step 1: Download Pavtube Mac MOV to Aperture Converter and import your Nikon D610 MOV file. Step 2: Click format column and choose the output format. You are recommended to choose Final Cut Pro -> Apple ProRes 422 (*.mov), it's great for editing in Apple Aperture 3. Step 4: Start converting Nikon D610 1080p MOV videos to ProRes codec for Apple Aperture 3. After converting, you can load Nikon D610 video to Apple Aperture 3 for editing as you want, now you can have a try. How to import .mov footage taken by Nikon D5300 to Adobe Premiere Pro without rendering? By converting Nikon mov to Premiere friendly format, you can easily get the smooth workflow with D5300 and Premiere Pro on Mac (Mavericks included). Nikon D5300 makes fantastic quality images and weighs almost nothing, so it's a pleasure to carry it everywhere. Compared to the pro cameras I often haul, the D5300 feels as if it's hollow, which is a very good thing. It can record H.264/MPEG-4 stored as .MOV video files which ensures high quality. Right click your MOV footage; rename the .mov files with .mpg extension. This "fools" Adobe Premiere Pro into thinking it's a different codec. It works in this way; however, your footages didn't turn into another codec so that Premiere Pro may still does something wrong during editing. And if you didn't do a backup before changing the extension, it really ruins your valuable footage. Besides, here's another problem: what if you have hundreds of clips to be edited? Rename all of them could be such a pain! So here comes the second way to let Nikon D5300 import to Adobe Premiere Pro smoothly. To crack the obstacle, the best way is to convert the H.264 MOV from Nikon D5300 to MPEG-2 or MOV which have been designed to work especially well as high-quality, high-performance editing codecs for Premiere Pro. Come and meet this Canon MOV to Premiere Pro Converter which would be a vital part of your workflow. You can order a license directly, or free download a trial version here. Step 1. 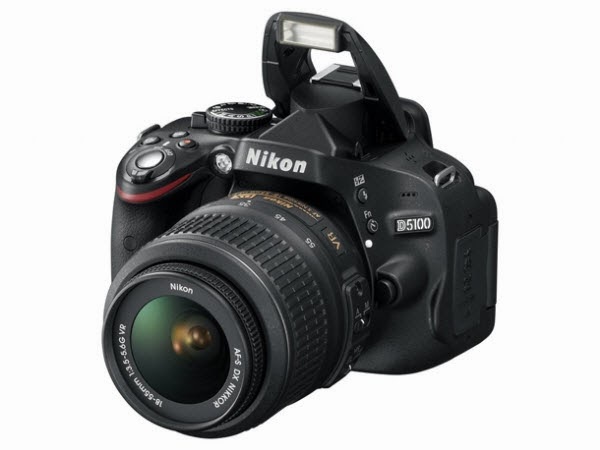 Connect your Nikon D5300 to Mac with USB cable or use card reader to transfer the MOV files to hard drive disk; do not forget to keep your camcorder on. Step 2. Run this Nikon D5300 MOV Converter, click the "Add video" button to load individuals mov videos; or click "Add from folder" to load the entire folder. Click the "Profile" option, you will find various video formats sorted by various programs/devices. For Adobe Premiere Pro, it should be "Adobe Premiere > MPEG-2(*.mpg)" or "MOV (AVC)(*.mov)". Step 3. Click "convert" button to convert Nikon D5300 H.264 MOV for Premiere Pro with this best Canon EOS Video Converter. After conversion completes, you can easily import Nikon D5300 footage to Premiere Pro for smoothly editing as you want. 1. Click here to learn: Basic Steps to import Media Files to Premiere Pro on Mac. 2. If you are a Windows user, follow the windows workflow with Canon MOV files in Adobe Premiere. Summary: Want to deal with MXF files in multi-track? Here MXF MultiMixer from Pavtube will be your top Choice to Encode MXF preserving Multiple audio channels. This article will tells you how. Panasonic: AG-HVX200, HVX-203, HPX170/171, HPX2000, HPX-2100, HPX2700, HPX3100, HPX3700, HPX500, HPX-300, etc. Sony: PMW-350, PMW-320, PMW-100, PDW510, PDW-700, PDW-F800, PMW-500, PMW-200, PMW-160, etc. 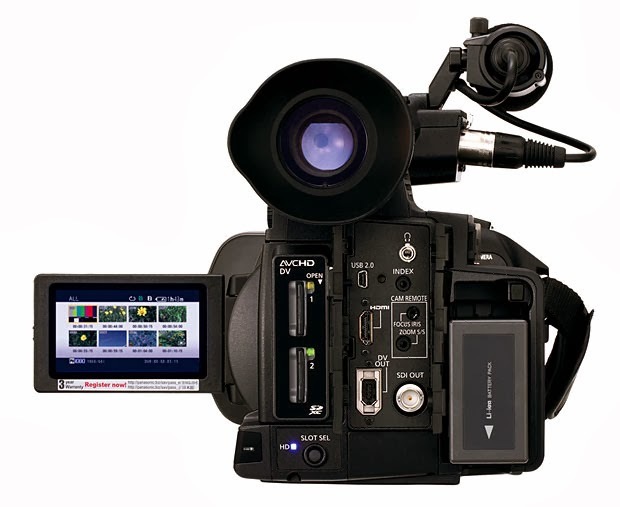 Most camcorders enable users to record Multi-audio channels, presenting stereoscopic in video shooting with great user experience, but neither MXF files nor multi-track MXF video are not friendly for playback or editing. Want to keep all audio tracks when converting MXF for playing on popular portable devices without quality loss? Want to convert more that 2 audio tracks intact to MOV for editing? Want to remove the unwanted audio tracks from original MXF Multi-audio tracks? Or need to mixing all audio tracks into one track after convertion? And here is exactly what Pavtube MXF MultiMixer can do for you. MXF MultiMixer, (For Mac:iMixMXF) works as a professional your best choice to covnert MXF for windows users which can convert transcode MXF files to AVI/WMV/MPEG-2/MOV for play MXF files on Quicktime with ease or import MXF files to After Effects/Premiere Pro/ Sony Vegas/Pinnacle Stdio/Windows Movie Maker for editing smoothly. What's more, it is the best Mixer tool which supports saving output video with the preservation of multiple audio tracks of original MXF videos. Other than multi-track preserving features, it is also capable of mixing several audio tracks into one track. Go to try those wonderful functions now and here offers you the Windows solution. Download and install the best MXF Converter and Mixer, and then follow the instruction. 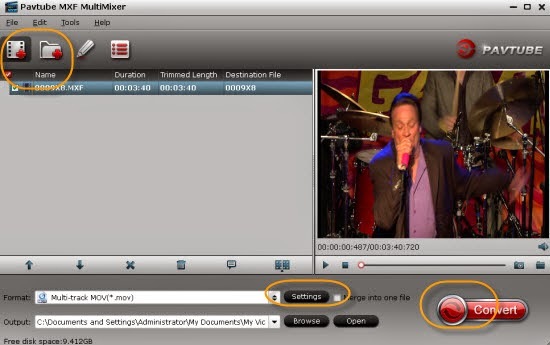 Run Pavtube MXF MultiMixer on your PC, click "+" button to load the MXF video files or load the MXF folder. Step 2. Select multi-track MP4/MKV/Proes format. 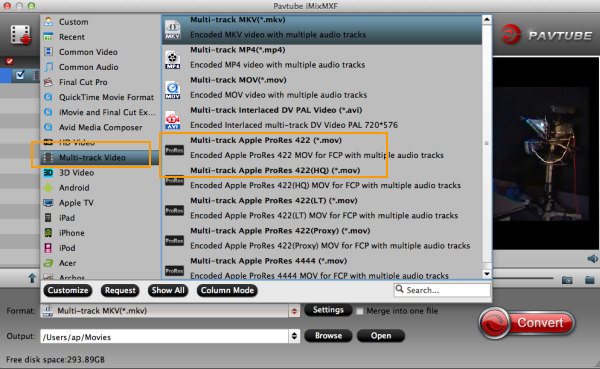 Click "Format" menu to find "Multi-track Video", choose "Multi-track MKV (*.mkv)" or "Multi-track MP4 (*.mp4)" or "Multi-track MOV (*.mov)" for output. Step 3. 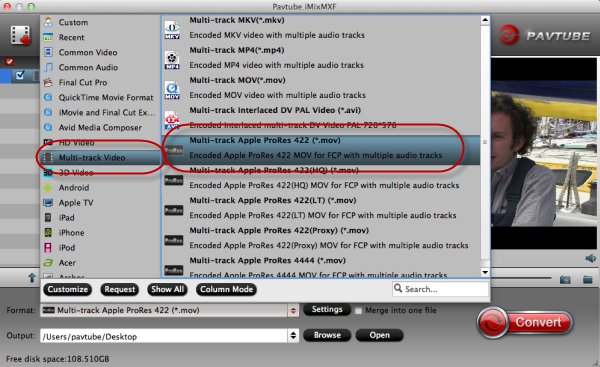 Set multiple audio tracks for MKV/MP4/MOV video. To mix multiple audio tracks into one track, go to check "Mix into one track" on the lower left. Conversely uncheck it you will get multiple audio tracks separately. 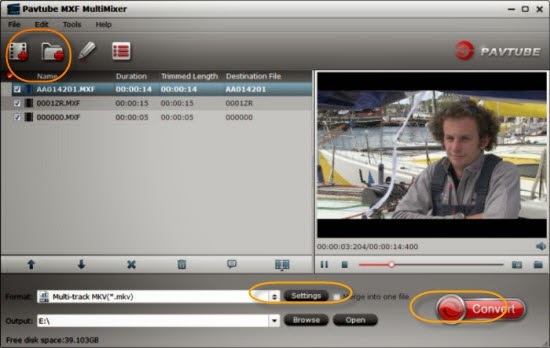 Click "Convert" button to start converting MXF to multiple audio tracks MKV/MP4/MOV videos, after a while go to "Open" button to locate the generated with on track. Now you can successly transcode MXF preserving Multiple audio channels with Pavtube MXF MultiMixer. Just have a try!